It’s been a year since Twitter changed its character limit from 140 to 280 in a single Tweet. 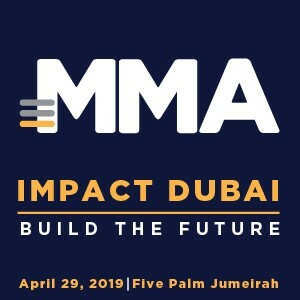 The microblogging platform reiterates the goal to do so was to deliver a platform for people to connect and share news and views, without comprising the brevity and speed Twitter is known for. A year later, Twitter takes stock of the impact of the change. In the past year, the language used across the world has evolved. When analyzing seven languages, Twitter found that since the doubling of the character limit, there has been a rise in the use of words such as ‘please’ (+54%) and ‘thank you’ (+22%). In Arabic, there’s been an 83 percent, 56 percent, 44 percent and 30 percent rise in the use of الرجاء (please), لو سمحت (excuse me), شكرا (thank you) and أرجوك (please) respectively. The use of abbreviations has also declined in favor of proper words. English abbreviations such as ‘gr8’ (-36%), ‘b4’ (-13%) and ‘sry’ (-5%) declined in favor of ‘great’ (+32%) ‘before’ (+70%), and ‘sorry’ (+31%). The data revealed that it’s easier to Tweet and Twitter is still brief. The most common length of Tweets remains small — with 140 characters it was 34 characters in English and 30 characters in Arabic, and with 280 characters it is 33 characters in English and still 30 characters in Arabic. Historically, 9 percent of English Tweets and 4 percent of Arabic Tweets hit the 140-character limit. This reflected the challenge of fitting a thought into a Tweet, often resulting in editing to fit within the limit. 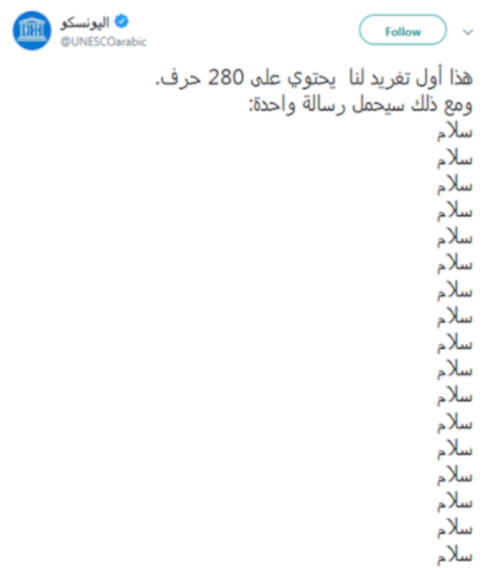 With the expanded 280-character count one year later, about 1 percent of Tweets in both English and Arabic are hitting the 280-character limit. Around 12 percent and 5 percent of English and Arabic Tweets sent after the expanded 280-character count are over 140 characters respectively. Globally, Twitter saw 6 percent of all Tweets over 140 characters and 3 percent of Tweets over 190 characters. This indicates that less work is needed to fit thoughts into Tweets and short Tweets remain the norm. In addition, more questions and conversations are taking place on the platform. The number of Tweets with a question mark ‘?’ has increased by 30 percent and overall, Tweets are receiving more replies.